The winter season brings so much joy and cheer as the holidays are a centerpiece of this time of year. There is often much to be celebrated as couples choose this beloved season to pop the question or sneak away for a winter elopement. Are any of our readers thinking about getting engaged this holiday season? Beautiful weddings are celebrated all year long here at our charming and elegant bed and breakfast. 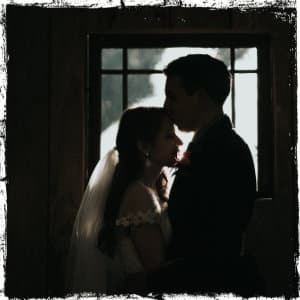 Whether you have an engagement on the horizon or are thinking of an elopement, we’d love for you to celebrate this momentous occasion at our gorgeous historic property. We know some of you are planners while others go as the wind takes them. Whichever group you fall into, we can help you plan your special winter wedding. Our upscale 1803 Colonial home sits on 7 landscaped acres. We offer a privacy from the hustle and bustle, yet a proximity to so many amenities and activities in the area—you get the best of both worlds. In the warmer months our beautiful yard can host tented weddings and parties. For the cooler months, we offer our stunning Connemara House, which is the old Caldwell Barn House that has been beautifully renovated. If you’ve been dreaming of a country-style wedding that would make Joanna Gaines from Fixer Upper jealous, this is the place! The Connemara House Great Room can seat up to 50 people. We can host weddings, rehearsal dinners, and we have enough rooms to accommodate up to 30 guests. If you have a hunch a ring is soon to be on your finger, share this link to your loved one as a hint for a great place to have your wedding! Again, if you are just looking for a small, intimate ceremony or elopement, our team can help you plan every detail. Use our Event Request Form on our website and let us know about your special day and how we can assist you. It’s a beautiful time of year to have the most amazing day of your life and we’d be honored to be your hosts. Contact us today! This entry was posted in Holidays, Weddings by admin. Bookmark the permalink.